Studies have shown that a person’s smile can have an enormous impact on how they’re perceived by others. After speaking with 1,000 participants, researchers discovered interesting facts that prove that straight smiles don’t just make us more attractive potential partners; they make us look happier, more approachable and hirable to employers, and overall boost our confidence and success levels. For instance, people who show off their straight smiles are about 50% more likely to be viewed as being healthy, 40% more likely to be perceived as intelligent, and 20% more likely to be seen as living a happier life. Silver Creek Dentistry has two straightening options to help you reach this level of confidence: Invisalign and traditional braces in Ripon. Dr. Frances Hamman can help you revamp your smile by straightening your teeth in a mature, discreet way. 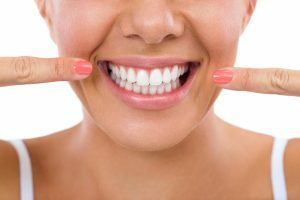 We offer a straightening treatment known as Invisalign in Ripon that can improve the alignment of your smile without traditional brackets and wires. Experiencing a new boost in confidence from knowing that you’re correcting your smile practically invisibly. Experiencing comfortable, steady straightening from aligners that are fit to your mouth. Ability to still enjoy your favorite foods because your aligners can be removed while you eat. Keeping a simple dental routine because your aligners are removable and easy to clean. You can depend on their reliable results. You can match your orthodontic treatment to your personality with colored elastics. You don’t have to worry about losing pieces because the treatment is bonded to your teeth. When you have crooked or misaligned teeth, you may not just be dragging down your confidence by putting off orthodontic treatment, but your health can be effected as well. Crooked teeth hide bacteria in hard-to-reach areas, weakening tooth enamel. Misaligned teeth may also be interfering with a healthy bite and TMJ functionality. You may not believe how many benefits come from straightening your teeth. It will be easier to clean all the areas of your mouth thoroughly. You will lessen your risk for dental emergencies. Decrease your chances of experiencing headaches, mouth pain, and neck pain. Straight teeth can improve your overall happiness. Orthodontics aren’t just for kids and teens. More adults are choosing to straighten teeth with Invisalign clear braces as well. Whether you choose Invisalign or traditional braces, Silver Creek Dentistry has the dental experts you need to achieve the results you want. Contact our Ripon office to discuss straightening your teeth today!